For all of you purists out there who believe that traditional coal is the only way to cook outdoors, we are sure to have something for you. More and more children of the original Weber Kettle pioneers are re-discovering the magic of Weber Kettle cooking. The flavour you just can’t get any other way. 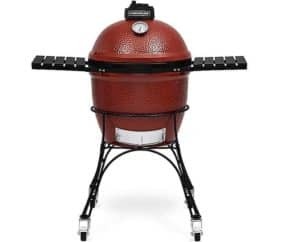 The kamado joe classic is the ultimate in ceramic grilling. 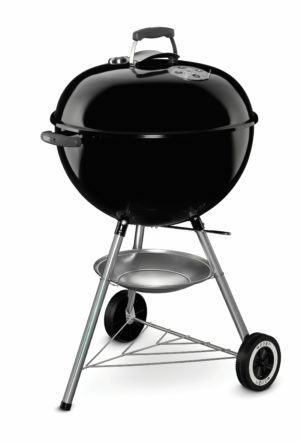 get true charcoal flavour every time you grill, roast , smoke or bake with a cooking range of 105C - 398C The Classic Joe has an 18" (46cm) diameter grill and included everything that you will need to start cooking straight away. grill, cart side shelves, ash tool and grill gripper. the classic Joe comes fully assembled and is backed by a limited lifetime warranty and built for years of use and beauty. Weber® Original Kettle 57cm The Weber® Original Kettle offers Weber's world-renowned quality at the original dimensions. Its specially designed stay-cool handles are made of weather resistant thermoplastic with protective heat shield will give you years of dependable service. The entire kettle range is formed using fire and rust-resistant lid and bowl made from steel and porcelain enamel inside and out making them weatherproof and extremely durable. 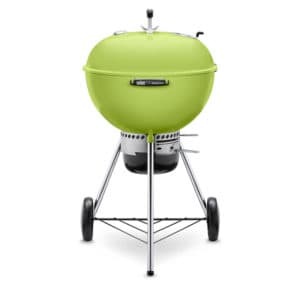 Weber® Master Touch Spring Green Enjoy Weber's most versatile and luxury charcoal barbecuing experience, the Master-Touch® comes with the Gourmet BBQ System grate as standard. Weber® Master Touch Slate The Weber® Master -Touch™ has become the standard by which all other kettle barbecues are judged. This is a modern classic, combining versatility and style. 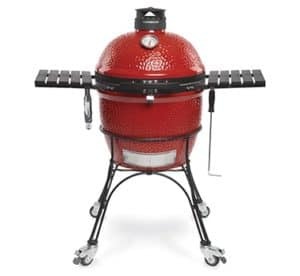 Enjoy Weber's most versatile and luxury charcoal barbecuing experience, the Master-Touch® comes with the Gourmet BBQ System grate as standard. 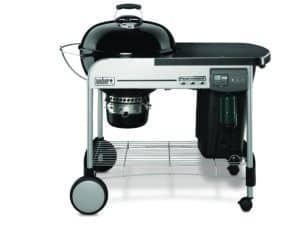 Weber® Master Touch Smoke Grey Enjoy Weber's most versatile and luxury charcoal barbecuing experience, the Master-Touch® comes with the Gourmet BBQ System grate as standard. 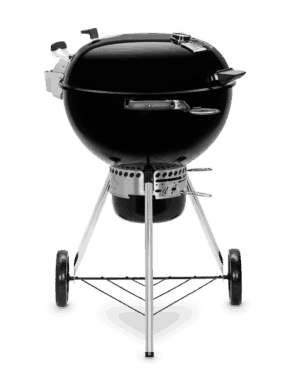 Weber® Master Touch Black The Weber® Master -Touch™ has become the standard by which all other kettle barbecues are judged. This is a modern classic, combining versatility and style. 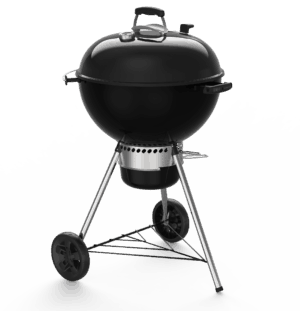 Weber® Master Touch Black Premium Edition The Weber® Master -Touch™ has become the standard by which all other kettle barbecues are judged. And the best just got better. 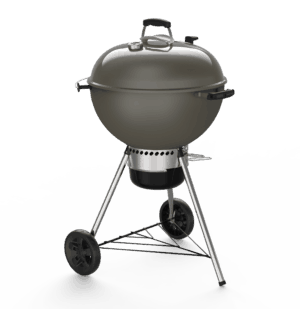 The Master Touch Premium combine's features, versatility and style for a truly premium barbecue experience. 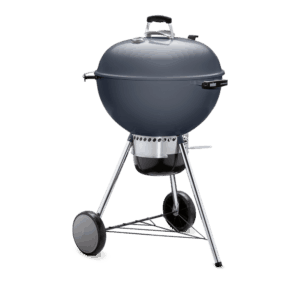 Weber® Performer Delux The ultimate Weber® kettle is the charcoal Performer. You can enjoy all of the features of the Weber one touch premium with the added benefits of the integrated heat resistant Thermoset resin work surface, gas ignition, LCD cook timer and CharBin.